Firefighters believe the fire may have been caused by an electrical malfunction. 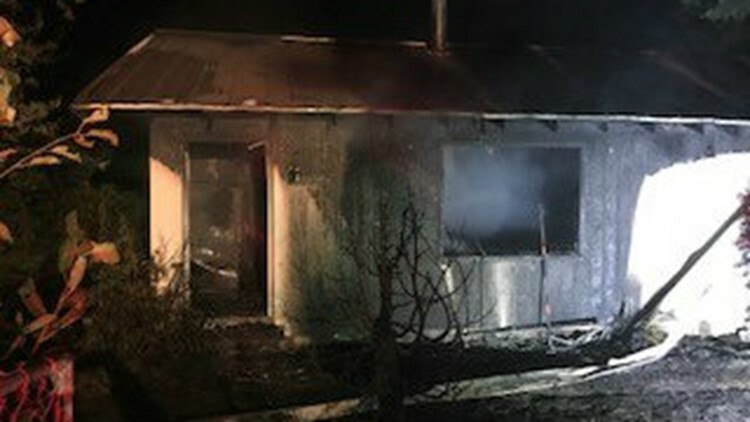 SCAPPOOSE, Ore. — A 92-year-old woman and two dogs died after a house fire in Scappoose on Monday, according to the Scappoose Fire District. At 1:45 a.m. fire crews arrived to find a fully engulfed home at 33973 Southeast Elm Street. Two people who escaped the fire were outside the home when crews arrived. The male victim was evaluated at the scene then taken to the hospital where he was treated and released. The female victim, a 92-year-old woman, was taken to the hospital where she later died from her injuries, firefighters said. Firefighters said there was a search for two missing dogs that were found dead the next morning. After an investigation on Tuesday, investigators believe the fire may have been caused by an electrical malfunction. The home had working smoke detectors.